The CNC MASTER.CUT machining center combines the advantages of a band saw with the flexibility of CNC 3-axis routers. This machining center can be equipped with multiple head boring units. 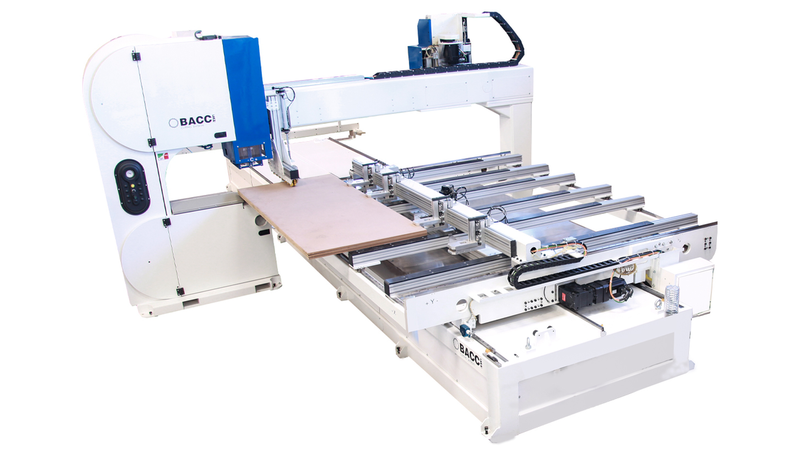 The operating fields of the two units (saw + router) allow machining and cutting of the entire panel or multiple stacked panels. - complete, with all the benefits of two different but complementary technologies combined in a single machine. it match all the benefits coming from cutting with the band saw blade, as material saving and easy working of stacked panels, are combined with the flexibility and the machining completeness of a CNC working centre.